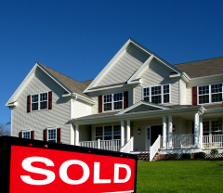 Most homeowners on Long Island list their properties for sale with a real estate broker. A listing agreement between the seller and broker will describe what efforts the broker will make to sell the property and how and when the broker will be compensated if the property is sold. The nature and length of a listing may vary as well as the commission a broker will receive for selling the property. Some brokers participate in the Multiple Listing Service of Long Island. For those that do, their listing agreements may contain additional terms regarding efforts expected of the broker and how he or she will be paid. When you sign a listing agreement, you are obligating yourself to pay a commission of many thousands of dollars to the broker. Speak to one of our Real Estate lawyers before you sign anything. Our attorneys will review the listing agreement proposed by the broker and advise you how the proposed commission compares with the rates currently being paid in your area. If you sell your house by yourself while the listing is in force, you will not want to pay a full commission. Rely on our experience to help you negotiate a listing agreement that protects you from that predicament. Most people sell their homes only a few times during their lifetime. They may not know or remember the significance of an exclusive listing as compared to an open one and how a multiple listing fits into the mix. We represent people selling their homes all the time. When you have the Real Estate attorneys of Sarisohn Law Partners working with you, you can count on us to explain the entire process to you from signing the listing agreement and evaluating offers from potential buyers to signing the contract and transferring the deed at closing. When a person interested in buying your house decides to make an offer and you're using the services of a Real Estate broker, the broker will bring to you a binder or preliminary agreement. The binder will indicate the price being offered, the amount of mortgage the buyers believe they'll need and the proposed closing date. The binder may also be dependent upon the buyer getting a satisfactory report from a home inspection company or engineer as well as other contingencies the buyer proposed to make part of the transaction. Sometimes, the binder may be the result of discussions between the listing broker (broker you listed the house with) and the selling broker (the broker who showed your house to the buyer). When binders are not involved, the parties themselves may sometimes sign some kind of memo setting forth their understanding. Sometimes a binder or memo will be worded in such a way that it may be considered a contract, and this may have unintended consequences. To avoid that problem, we will review the binder with you before you sign it to make sure that you understand it and its significance. Our attorneys will advise you whether or not it contains terms that are out of the ordinary, vague, confusing or subject to multiple interpretations. We will make sure that you don't remain committed to a particular transaction unless a contract is signed within an appropriate amount of time. It is customary in a residential real estate transaction on Long Island for the formal contract to be prepared by the attorney for the seller. The contract will set out the names of the parties, identify the property, list the items included in the transaction, provide a date for the closing, and of course set forth the price to be paid. These are the only terms which must be supplied for a contract to be legally sufficient. But a typical residential real estate contract may be ten or more pages long. In addition to other important matters, the contract will include provisions concerning title, zoning restrictions, permits and certificates. Among many other issues, the contract will describe the condition the property must be in at the time the closing takes place. It will address the way payments are to be made and will usually allow the buyer to cancel if he or she cannot obtain a mortgage. The real estate contract we prepare for the sale of your home reflects the accumulated wisdom gained from drafting and reviewing thousands of contracts over many years. While we do not approach the sale of a house as an adversarial proceeding, our contract for you will provide all the protection you need while recognizing the reasonable expectations of the buyer and the custom for real estate transactions on Long Island. We will negotiate any legitimate requests that the buyer's attorney may make for modifications in the contract insuring that the final document fits your circumstances. We believe that the contract is most effective when you fully understand the deal as it has been written. Patiently, we will answer all your questions. After the contract is signed and while the buyer is obtaining a commitment for a mortgage, the lawyer representing the buyer will order a title report from a special insurance company called a title underwriter. The title company will investigate and determine who owns the property, whether or not the real estate taxes have been paid and whether there are any outstanding mortgage or other liens against the property. The title report will also check to see if any of the parties have been in bankruptcy, and whether the house has all the necessary certificates of occupancy. Since the contract of sale obligates the seller to provide the buyer with ownership of the property free of any issues like these, many of the things disclosed by the title report must be taken care of before the closing can take place. We know that you are anxious to sell your house and that unaddressed problems listed in the title report can cause delay. Common items that require attention are outstanding mortgages, judgments affecting the property and certificates of occupancy or permits that are required to be on file with the town. The attorneys at Sarisohn Law Partners will promptly review the title report with you and identify and then resolve any issue it raises. The closing is where the buyer gives the seller money for the purchase of the house and in return receives the deed, all in accordance with the contract. The closing usually takes place in the office of the lawyer representing the mortgage bank and will be scheduled within about a month of the target date set in the contract; provided that the buyer has obtained a mortgage commitment and that all title issues have been resolved. At the closing table, all of the parties will assemble; the seller and seller's attorney; the buyer and buyer's attorney, the bank attorney, a representative of the title company (called a title closer) and the real estate brokers. The buyer will sign all of the bank documents and the seller will sign all of the transfer documents. Adjustment for taxes, fuel and other items that the seller may have pre-paid will be made. The checks are given to the seller, the keys to the buyer, and congratulations exchanged to all around. The attorneys at Sarisohn Law Partners continually review your file making sure that the buyer meets all of his or her responsibilities and follows all time tables stated in the contract. When they have been met, we will coordinate a closing date with all of the other parties involved. In advance of your closing, we will prepare the new deed and other transfer documents. A closing on Long Island typically takes several hours. To the client who attends a closing perhaps only several times in a lifetime, it may appear chaotic with many papers being simultaneously shuffled and signed, people talking on the phone and walking in and out of the room. The attorneys at Sarisohn Law Partners know the choreography of a closing. We will calculate the amount of money owed to you including any adjustments and make sure that you receive that to which you are entitled. We will calculate the appropriate commission, making certain that you pay only the amount you have agreed to pay. If there is a dispute over the condition of the house or any other matter, we will vigorously represent your interests. We are skilled negotiators who know how and when to enforce the terms of your contract. By the time you leave the closing with check in hand, we will have examined and explained everything to your satisfaction. to remain in the property after closing. When this situation arises, the seller will place money in escrow according to the terms of the Contract and a separate escrow agreement often drawn up by the attorneys at the closing. Since the buyer is entitled to receive the house vacant and in good condition from the seller, the seller's lawyer will hold an agreed-upon amount of money, until the buyer can move in and check the condition of the house. Money may also be held in escrow by the seller's attorney for other details that need the seller's attention after closing. Upon final confirmation that the buyer received the house according to the terms of Contract, the attorney will release these remaining funds to the seller. We will consult with you and be familiar with your situation, so that when we draft your escrow agreement, it will meet your needs. We will make sure that you benefit from all of your rights under the Contract. If you are buying another house, chances are that you will be relying on the funds from your sale to be available to help you make your purchase. We will prepare the paperwork you need, and make the necessary arrangements for your funds to be ready for your next closing. Finally, we will prepare a formal closing statement for you that shows all the details of the transaction, and provides copies of all the papers and checks so that you will have a complete record for tax purposes.